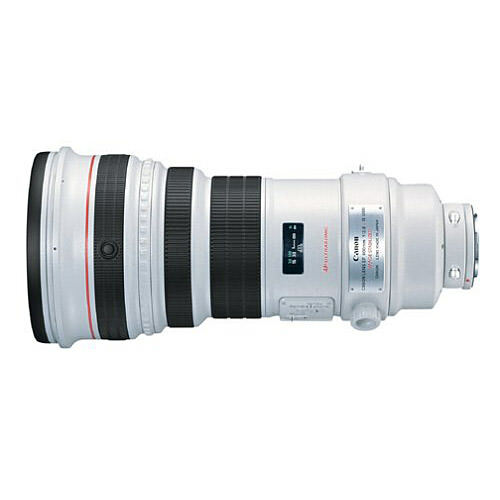 Lens Description: Super telephoto L-series lens with an Image Stabilizer for use in track and field sports as well as low-light nature and wildlife photography. The fluorite element and two UD-glass elements result in high resolution and high contrast. The ring USM and an improved AF drive algorithm make the AF speed the fastest in the world when used with the EOS-1v and EOS-3. This lens has the same AF stop and focus preset features as the EF 300mm f/2.8L IS USM.